Aging, How Do We Slow it Down? Telomeres? August 2, 2013 August 2, 2013 Wallace Bishop I.N.H.C, C.N.C. I don’t want to age any faster than necessary and I am sure you don’t want to either. And what in the world is a telomere? Enjoy All Life Has to Offer!! Did you realize you have a profound affect on how quickly your body ages? Every morning looking in the mirror can tell us how we are aging externally. The real issue is how you are aging internally. How well are your cells and ultimately your organs and glands holding up against the daily assault of free radicals, toxins, stress and nutritional deficiencies? The idea is to slow down the aging process if we can. There are things you can do to not only reduce the aging process but also maybe even reverse it in some cases. Can We Slow Down Aging, YES! The sooner in life you begin to live a life of wellness the younger your body can be, as you get older. So what does aging really mean? Technically, aging is a combination of all metabolic life activities, the effects of exposure to toxins, microbial agents, and nutrient deficiencies and their total combined effect over time on each cell. I am going to try to keep this simple! Anti-aging is the positive effect of the antioxidants and nutrients we pour into our body that counter the negative effects of the metabolic processes and our exposure to toxins in our environment, food, air. As part of life, we are exposed to microorganisms, environmental toxins, drugs, emotional toxicities, unhealthy foods, nutrient deficiencies and stress; let’s call these “negative health catalyst”, or NHC. These NHCs have a direct impact on our cells ability to continue to replicate in a healthy state. NHCs can cause damage to the cell and even DNA in our cells. They do this in different ways. In one case they cause free radicals to form that can damage the cells and even the DNA in the cell to the point that the cell will begin to replicate itself in an unhealthy state. In another way they lower our immune function to the point that the immune system is not healthy enough to stop the growth of bacteria, viruses, micro organisms and even mutated cells and the mutated cells can multiply to the point of disease. In another way they turn on the adverse health potential of certain genes to express themselves as disease and illness, but potentially the most damaging effect of these NHCs is their ability to shorten our telomeres and cause damage to our DNA through free radical damage to our cells. Excessive consumption of all sugars and artificial sweeteners. Telomere shortening (caused by NHCs) increase telomerase by living a lifestyle of wellness. Our genes are located on twisted, double-stranded molecules of DNA called chromosomes. At the ends of the chromosomes are stretches of DNA called telomeres, Telomeres are protective DNA-protein complexes, which protect our genetic data, make it possible for cells to divide and hold some secrets to how we age and get cancer. Think of the plastic caps on the end of your shoelaces. This is sort of what the telomeres look like. They keep the strands of chromosomes from unraveling. As the effects of NHCs advance our cellular aging the telomeres get shorter and shorter. Once the telomeres get so short, the cell can no longer replicate and aging accelerates. 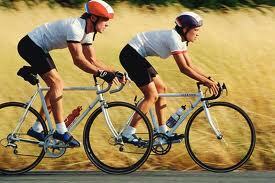 To strengthen our telomere’s we must increase the presence of the enzyme telomerase in our cells. 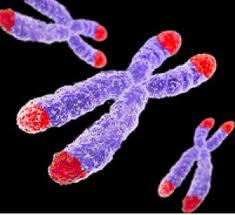 Telomerase is an enzyme that is responsible for keeping telomeres healthy. As we age our body’s produce less and less telomerase thus we begin to age faster and faster. In addition, the NHC’s also slow down the cellular production of telomerase. How do we slow down the aging Process? By living a lifestyle of wellness we greatly enhance our potential for slowing the aging process and having a life of vibrant health. Recent studies even show that a lifestyle of wellness actually can increase the cellular production of telomerase and improve overall health. If we remove NHC’s and include nutrient dense foods (lots and veggies and fruits), pure water, relaxation, adequate sleep, health building exercise, fresh air, sunshine and emotional and spiritual balance, we can improve every facet of our health potential. You can in many cases trump genetic tendencies. The way you live has such a powerful effect on your health that it literally can mean the difference between sudden death and a life of longevity with vibrant health. Vive is very anti-aging! Vive is made from whole foods and contains a bounty of nutrients that boost every aspect of your cellular health!! I developed Vive to be easy to use. It’s basically a shake it up and go, super nutrient dense meal replacement. All plant-based foods are anti-aging. The brighter and deeper the colors the more powerful the antioxidant protection! You can add Vive to any smoothie you make in your NutriBullet. It’s easy, add your veggies and fruits, then add a scoop or two of Vive, then you cold liquid of choice and you have a super charged nutrient dense shake!! Every cell in your body will wake up and shout for more. Everyday eat a healthy plant based diet, exercise, manage stress and your body will begin to restore itself.! This product has not been evaluated by the FDA and is not used as a cure, treatment or diagnosis for any disease or illness. Previous Post Is Nutrition Really Important? Next Post Are You Holding You Back?